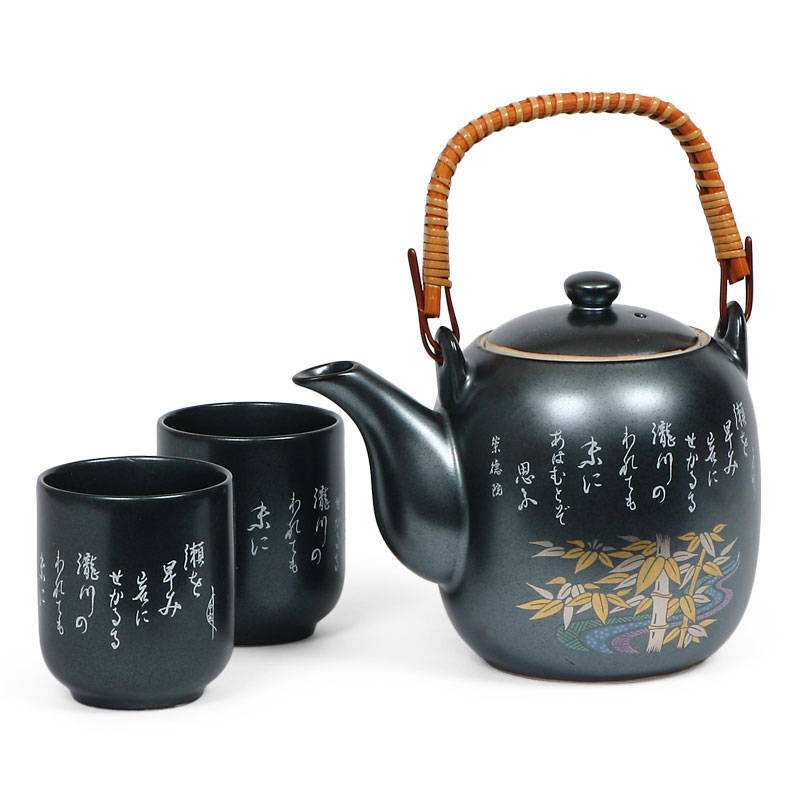 This beautiful tea set features a gold bamboo motif and a traditional poem that wraps around the entire pot and cups. Set includes one pot with stainless steel mesh stariner and two teacups pakcaged in a gift box. Handle comes unattached. Pot: 6.5" x 4.5" x 5.5"h; 25 oz. capacity. Cup: 2.5" diameter x 3"h; 5 oz. capacity.